NEW YORK, NY--(Marketwired - Dec 2, 2015) - Adorama, one of the world's leading photography, video, imaging and electronics retailers, is now selling Nest connected home products online and at Adorama's NYC-based Superstore. Nest products help make homes safer, more energy-efficient and more aware -- and can be accessed and controlled from any smartphone. 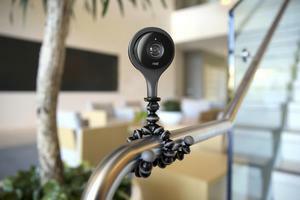 Find out why "With Nest Cam, You're Never Far From Home" on the Adorama Learning Center. Nest Learning Thermostat: The brightest way to save energy, this intelligent thermostat has helped save over 4-billion kWh of energy since its launch in 2011. The Nest Thermostat remembers what temperatures you like, creates a custom schedule for the home, and turns itself down when you're away. Once it's learned your schedule, Nest can save about 10-12 percent on heating and about 15 percent on cooling bills. Now available for 249 USD. Nest Protect smoke and carbon monoxide alarm: The most comprehensive smoke and carbon monoxide alarm on the market, this alarm looks for smoke from fires and carbon monoxide. It speaks up when there's a problem, can be hushed from a phone, and it will even message your phone in case you're not home. Also available in a wired model. Now available for 99 USD. Nest Cam 3MP Indoor Security Camera: Check in on your home from anywhere on your smartphone with this security camera for the home and receive alerts if there is undue motion or sound. 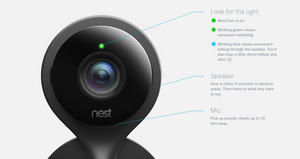 The Nest Cam includes a mic and a speaker for users to listen in on the home when not present, as well as speak back. Now available for 199 USD. For those who need extra protection in additional areas of the home, the home security camera bundle package is available for 497 USD. Shop Nest products now. For more information, visit Adorama.com or the Adorama Superstore, located at 42 West 18th Street, NYC.